The upgraded applications and their key new functionalities are detailed below. If you’re coming from further back and would like to know the differences between older versions – like an upgrade from Adobe CS5.0 to CS6, from CS4 to CS6, or from CS3 to CS6 – the last section will also help. What’s New in Illustrator CS6? 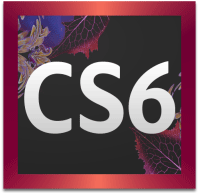 What’s New in InDesign CS6? What’s New in Fireworks CS6? What’s New in Flash Professional CS6? What’s New in Premiere Pro CS6? What’s New in After Effects CS6? What’s New in Audition CS6? What’s New in Encore CS6? What’s New in Prelude CS6? What’s New in SpeedGrade CS6? What’s New in the Four CS6 Suite Editions? Differences from Older Releases (CS3, CS4, CS5.0)? The world’s best digital imaging software gets even better with Photoshop CS6. Benefit from state-of-the-art imaging magic, exciting new creative options, and unprecedented performance. Correct, refine, and composite with groundbreaking new Content-Aware tools, an all-new Crop tool, and new skin tone–aware selections and masking. Design superior graphics as well as movies with new and reimagined tools and workflows. Count on a modern user interface to make your images pop, and edit at blazingly fast speeds with the new Mercury Graphics Engine. Create rich 3D artwork with a vastly simplified user interface in the Extended edition. Number 1 in Illustrator CS6 is the new Mercury Performance System that delivers native 64-bit support for both Mac OS and Windows. You can now work with precision, speed, and rock-solid stability on large, complex files. An updated interface streamlines daily tasks, and new creative options let you design and edit seamless patterns, leverage a new image-tracing engine, and apply gradients to strokes. Spend less time waiting and more time creating with Illustrator CS6, the industry’s premier vector-drawing environment for creating graphics that scale across media. InDesign CS6 introduces powerful features for print and digital workflows. New tools help you adapt layouts to multiple page sizes, orientations, and devices—without sacrificing pixel-perfect control over design and typography. Use the Content Collector tools to easily repurpose text and images in other files; link content across documents to help ensure consistency. Integrate with Adobe Digital Publishing Suite to publish InDesign layouts as tablet applications. Dreamweaver CS6 introduces expanded support for creating clean, industry-standard HTML5 and CSS3 code. Check the rendering of HTML5 code with updated Live View and Multiscreen Preview. Use fluid grid layouts to design projects that are cross-platform and cross-browser compatible. Enhanced jQuery Mobile and PhoneGap Build support framework helps you develop projects for desktop screens, tablets, and smartphones. Faster FTP transfers let you work more efficiently. Fireworks CS6 provides new screen layout tools to help you work faster and smarter. Jump-start your interactive designs for popular smartphone and tablet apps with new jQuery Mobile theme skinning, CSS sprites from comps, and extraction of industry-compliant CSS3 code. Blaze through your workflow with improved color swatches and greater precision. Boost productivity with better redraw performance for Mac OS and improved memory management for Windows 64-bit operating systems. Flash Professional CS6 features new support for generating sprite sheets for improved game develop­ment and the ability to deliver apps with a prepackaged Adobe AIR captive runtime for a better user experience. Access device-specific capabilities with prebuilt native extensions, simulate common mobile application interactions, and reach devices that run on Android and iOS platforms by targeting the latest Adobe Flash Player and AIR runtimes. Premiere Pro CS6 delivers a sleek, professional user interface; a powerful playback engine (see all supported graphics cards); and a host of fantastic creative features. Quickly stabilize shaky shots with Warp Stabilizer. Natively edit anything from low-resolution to RED EPIC 5K and ARRIRAW footage, finesse your work with dynamic timeline trimming, handle more multicam angles, and correct rolling shutter artifacts. Get flexible audio tracks, powerful color workflows, Adobe Prelude integration, and more. After Effects CS6 lets you deliver cinematic visual effects and sophisticated motion graphics faster than ever before. Take 64-bit to a new level with Global Performance Cache. Extend your creativity with the 3D camera tracker, built-in text and shape extrusion, new mask feathering options, rolling shutter repair, and more built-in effects to make your final project look the way you intended. Audition CS6 offers high-performance, intuitive editing tools to help you produce audio efficiently. Powerful new features such as real-time clip stretching, pitch and speed control, write/latch/touch automation, control surface support, and automatic speech alignment help you deliver projects faster than ever. Many user-requested features have been added and improved, such as CD burning, clip grouping with group suspend, tone generation, and more. Get rock-solid performance and stability with Encore CS6, now natively 64-bit. Open and save projects faster and send them from Premiere Pro CS6 directly to Encore CS6 software without intermediate rendering. Benefit from faster MPEG import, pixel aspect ratio correction in previews, and enhanced DVD, Blu-Ray Disc, and web DVD authoring. Adobe Prelude CS6 is a video ingest and logging tool that can help you tag and transcode footage rapidly. Searchable temporal markers and comments entered in Adobe Prelude can help you find the footage you want, when you want it, at any point in production. Easy ingestion of nearly any file-based footage along with keyboard-driven creation of searchable metadata allows you to keep your eyes on the video and work faster, stay organized, and streamline production. Create rough cuts and associated metadata that will flow through the entire production process in Premiere Pro and with other NLEs. Leverage the XMP-based open platform capabilities of Adobe Prelude to integrate with third-party technologies and asset management systems. Adobe SpeedGrade CS6 is professional color grading software that brings state-of-the-art color science to your productions. Output to virtually any type of display, from handheld tablets to the big screen. Now part of the Adobe Creative Suite, SpeedGrade CS6 offers a new streamlined interface and the Lumetri Deep Color Engine, giving you confidence in your color decisions. Load projects from Premiere Pro and use professionally designed presets to get up and running fast. Native .Look file support in After Effects and Photoshop provides visual consistency across your productions. Adobe combined two CS5 suites into one – the new CS6 Design & Web Premium suite. So now there are four suite offerings in total, including CS6 Design Standard, CS6 Production Premium, and CS6 Master Collection. The different suite configurations remain similar to before except the applications you don’t see above – notably Flash Catalyst, Contribute, OnLocation, and Device Central – are no longer included in Creative Suite 6. What’s more, Flash Builder 4.6 is now bundled with Master Collection only. To answer that, check out the differences between Adobe CS6 vs. CS5.5 vs. CS5 vs. CS4 vs. CS3 – for the complete picture! See the full CS6 System Requirements, the different CS6 Product Configurations, or the CS6 Price Sheet in major geographies. Adobe CS6 Was Announced April 23, but When Is the Release Date? Thank you! Paul, I love you! Your tuts are great and I look forward to your instruction with Flash CS6. The Background Save and Auto-Recovery feature is only for Photoshop, or is it included in all the new CS6 applications? Good question Carlos. The only tool that it’s new in for Creative Suite 6 is Photoshop… Some tools already had the ability to save in the background, for example PDF export in InDesign CS5, as well as Premiere Pro auto-save for a long time, etc. Thank you for answering my question. I think every single new feature in CS6 is amazing, especially the 3D Camera Tracker in AE and the Automatic Speech Alignment in Audition, very useful. I hope that in CS7, the Background Save and Auto-Recovery feature will be available in all Adobe applications. Thank you. Great program and looking forward to exploring all the new options, especially looking forward to using the new design tools. Does the Master Collection come with Photoshop Standard or Extended? Good question Michael – if you check the Creative Suite 6 Configurations, you’ll see that all CS6 suites come with Photoshop Extended, except for Design Standard. So, the answer for Master Collection and the rest is they come with the Extended version! This looks truly awesome. I need to make a website to show off my greeting cards, used purely for fundraising for cancer research, Motability, ME, MS and MND research plus hospice support! So to have the quality of this suite would be wonderful. I use PSE on my MAC at present. These videos are good for promos but I am looking for a tool by tool tutorial. Where can I find that? Sure Cat… Here are 30 hours of free video tutorials for all CS6 tools, as well as over 1,000 pages of free downloadable e-books for same. Those should be good places to get started! Flash CS6 has been a huge disappointment. I’ve been using it for about a week and it’s crashed on me over 10 times a day, along with a multitude of display issues. CS6 makes CS5.5 look like stable software. Hi Nicholas, sorry to hear you’re having difficulties. There is a page listing some known issues with Flash Pro CS6, but nothing really like the kind of thing you mention… Are you sure your computer meets the minimum CS6 system requirements and your software is fully updated? Have you had problems with any other products? Regarding how the rest of the world is doing with the new release, Flash Professional CS6 currently receives rating of 4.2 stars out of 5 on Adobe User Reviews. So it does seem unusual. Nicholas, I had that problem with CS5. It was a font conflict of some sort. I fixed it by turning off all but the system fonts and then added fonts slowly, as I worked on projects. One font was making the system crash. Thanks so much for adding that Cat – it does sound like the problem could be something like that, or similar. Hi Cat, thanks for the suggestion. I can experiment with my fonts, but I have had few issues with 5.5 and 5.0 on the same machine. It’s not a min spec issue, and I haven’t had issues like this with other Adobe products. @ Nicholas Bilyk Also, a font issue doesn’t explain all the display issues I have been having with Flash CS6. Things like buttons not being clickable, selection rectangles being invisible, panels not being able to resize. It’s been dozens of ear flicks any time I use the software. I have an NVidia Quadro 1000M, and as I said before, I can use Photoshop and CS5.5 without these kinds of problems. Wow, that sounds really really strange Nicholas – have never heard of it, and can’t imagine what it might be… Have you tried Adobe Support/Forums? It also could be a Windows Registry issue, perhaps something didn’t install properly – so maybe uninstalling and reinstalling the program could help. I’m trying so hard to see why I should upgrade to PS CS6. Every one of these new options can be done in CS5. I am curious about the video features. What’s New in Adobe Photoshop CS6 vs. CS5? How much time will CS6 save you by performing operations faster, simpler, and more efficiently? How much do you value better performance, stability, and ease-of-use? What is your time worth? Customers who have used PS CS6 say they would have a hard time going back to CS5 – but it’s easy enough (and no charge) to just download and run the free CS6 trial and see for yourself. I am currently looking to upgrade my desktop so that I may purchase the Master Collection. I am running a system with an AMD processor. Will I be able to run all programs or do some REQUIRE an Intel processor? Welcome Alexander, thanks for your question. Here are the official system requirements for Adobe CS6 Master Collection. If you would like to try out the software first to see how it performs on your computer, just download and run the free CS6 trial. Hope this helps – if you have any further questions then just post back! We have recently upgraded from CS5.5 to CS6. A feature that is troubling us is that when one opens a CS5 file (InDesign or Illlustrator files for instance) in CS6, edits the file and clicks File > Save, instead of saving the file immediately, it brings up the ‘Save As’ dialog, with a prior file location rather than the current file location. In order to save the file, the user must navigate back to the original file location, click OK, and answer to an overwrite prompt. We care nothing about preserving the file in the CS5 format, which is what I assume this behavior is trying to accomplish. We want to have File > Save save the document, overlaying the earlier version. How can I turn off this version preservation feature? How Compatible Are Project Files Between CS6 and Earlier Versions? I am using Premiere Pro CS6 and cannot find the CS4 menu item Clip/Audio Options/Transcribe to Text … I want to be able to transcribe audio files. Please help! Thank you! Hi Elizabeth, you mean run the built-in audio transcription for video clips and sequences? Hi, i need all time audio level meter for 4 channels during any kind of capture. Why premiere can not have this option. We have a Mac with CS6 and Avid, all works except Photoshop CS6 – it just keeps crashing, we are on Lion. Would Avid have an effect with CS6, thus cause this crash or does anyone know of another reason? We haven’t heard anything like that or about any problems with that setup – does your computer meet all the official CS6 system requirements? What message are you getting when it crashes? Hi, yes it meets all of the requirements, it’s a brand new iMac 27″ i5 with 8Gb Ram. Okay great Steve – does it give any message when it crashes, and if so what is it? Have you googled the problem at all? I have recently taken over a marketing and graphic design role in a company. The women before me has not left Adobe account or registration details needed to switch over and update the CS5.5 software currently being used. Can you assist me in upgrading anyway? In addition, the iMac currently being used to run the CS is not internet accessible. Can I still upgrade to CS6 without need to convert to the cloud system? What are my options? Can you also include prices for those options? Sure Erin, hopefully this response will help you – check it out and then just reply back if you have any further questions! OK, thanks, that helps a lot. Where can I find product serial code or registration if this information has not be left by the previous owner? Is it stored within the software files somewhere? It’s actually stored on your machine. So to upgrade, you will need your older serial number, which you should be able to retrieve from your current system using the techniques described here.